Verbal reasoning or literacy tests are commonly used for selection and assessment purposes in order to establish how competent candidates are in their use of English. "How to Pass Verbal Reasoning Tests" will help you prepare for such tests and gain the confidence to succeed. There is expert advice on improving skills and test techniques, as well as hundreds of practice questions that will help you get used to the type of questions asked. 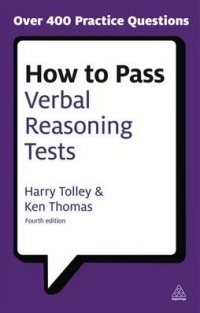 "How to Pass Verbal Reasoning Tests" includes the following types of test: missing words, word swap, word link, hidden sentences, sentence sequences and a new chapter on verbal logical reasoning. Intermediate in level, it will prove invaluable to school leavers, further education college students and those applying for clerical/administrative posts.